The UST SureVolt electronic voltage regulator/power conditioner provides the broadest range of protection available to guard against voltage fluctuations that can wreak havoc with your electrical load (equipment). The SureVolt™ combines the best qualities of typical mechanical and electronic voltage regulators while eliminating their weaknesses. Mechanical voltage regulators are valued for their high overload capacity and good voltage regulation, but these qualities are offset by their slow correction speed and the need for regular maintenance of moving parts. Similarly, electronic voltage regulators are known for their fast correction speed, but suffer from poor overload capacity. 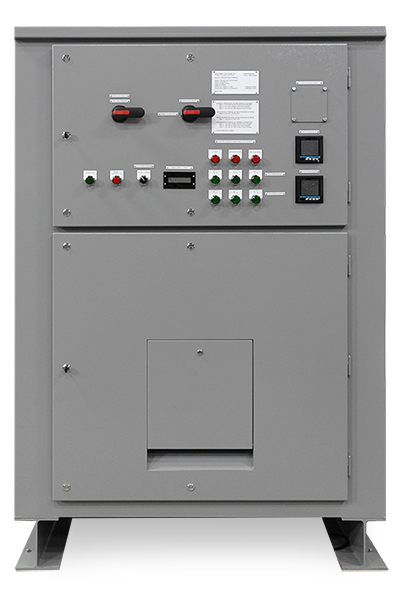 The SureVolt provides high overload capacity for loads with large inrush-current requirements. At the same time, it provides consistent voltage regulation and fast correction without regular maintenance or moving parts. For more product details, click here to download the SureVolt™ Specification Guide.